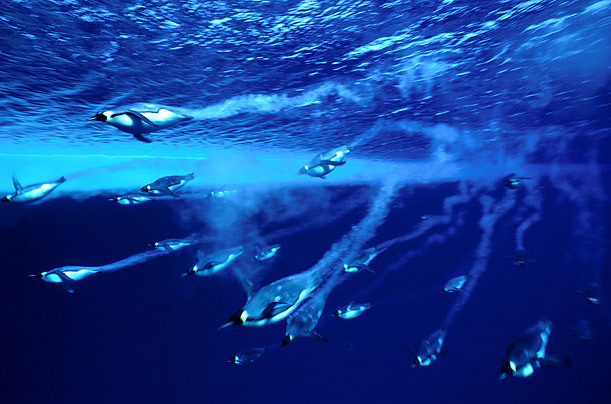 A group of Emperor penguins darts in the water. Emperors can dive to 600m and stay underwater for 20 minutes. The Book: "Under Antarctic Ice"